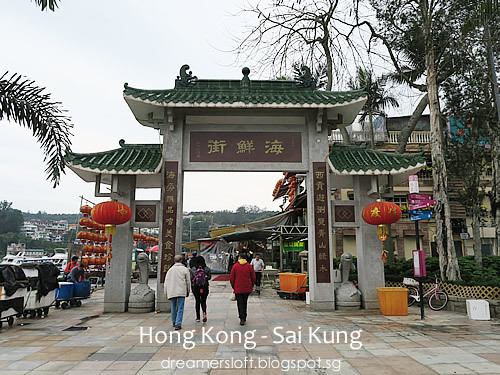 Hubby and I have never been to Sai Kung 西貢 before, although we've heard much about it from TVB dramas. 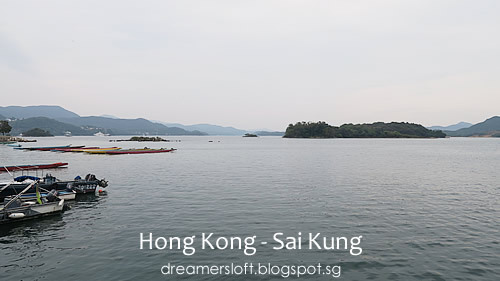 Therefore, this time we decided to extend a day (after hb's official trip) to explore Sai Kung located in the New Territories 新界. 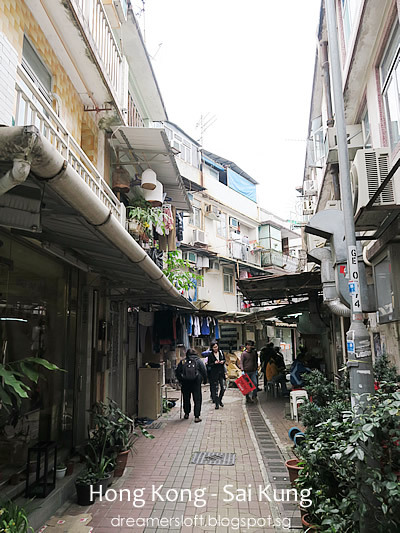 Initially I thought it would be complicated to get there using public transport and we might have to take a cab, but surprisingly the journey was pretty smooth and faster than expected. 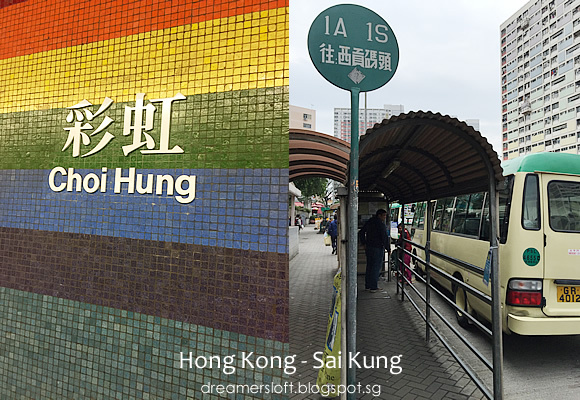 We took the Kwun Tong Line, starting from Yau Ma Tei station and alighted at Choi Hong station. From there, exit at C2, and you'll see a green bus stop sign to the left of the exit. 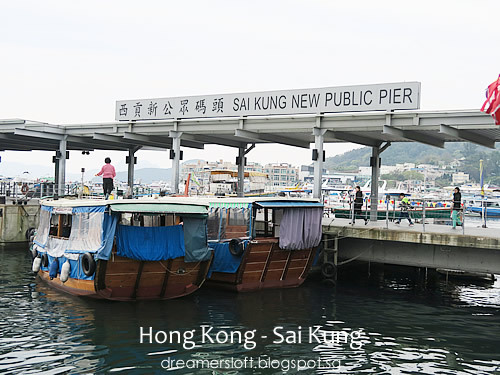 The green mini bus A1 goes directly to Sai Kung Pier. Alternatively, KMB Bus no. 92, located to the right of the exit (slightly further down the road). 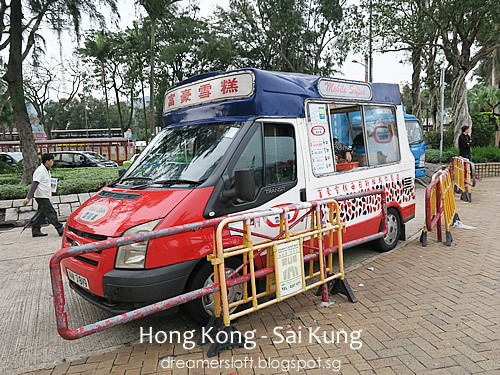 We hopped onto the green mini bus and the journey took us about 25-30 mins, along a mountainous, windy road. Be sure to put on the safety belt as I realised that the drivers (both to and fro journeys) tend to drive at rather high speeds. 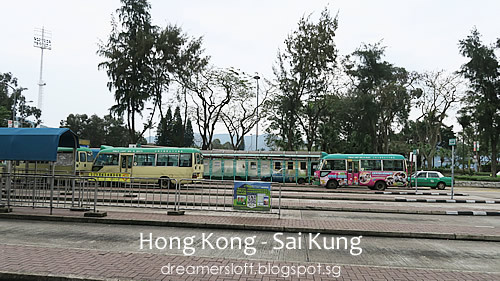 After about 25-30 mins, the bus arrived at the Sai Kung Pier bus terminal! 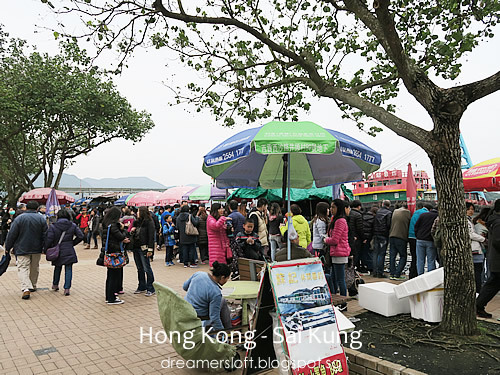 The seaside town felt serene and quiet, probably because we arrived early before noon. 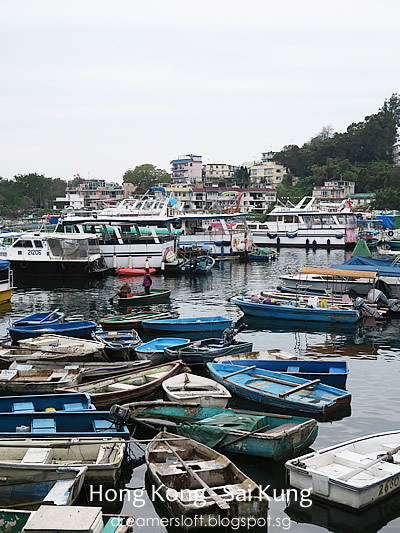 Made our way towards the pier where we saw hundreds of boats big and small dotted along and around the coastline. Towards the left of the pier, we could see several small islands in the distant. 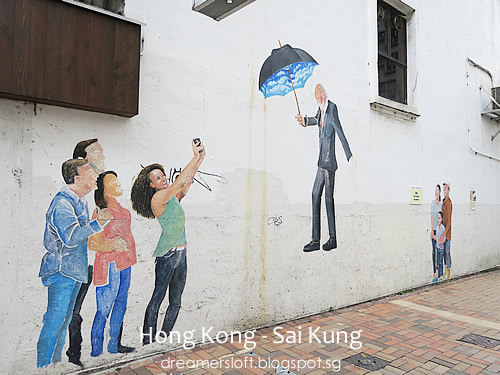 Many locals and avid hikers go tracking/hiking around the Sai Wan Ting and beach area. 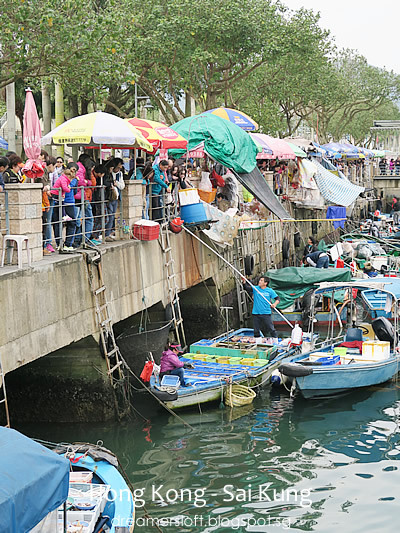 Along the pier is a floating seafood market, where many seafood lovers get to bargain and buy the freshest seafood directly from the fishermen/boatmen. When we reached at around 11.30am, the whole place was still quite quiet but the crowd started to stream in after 3pm. 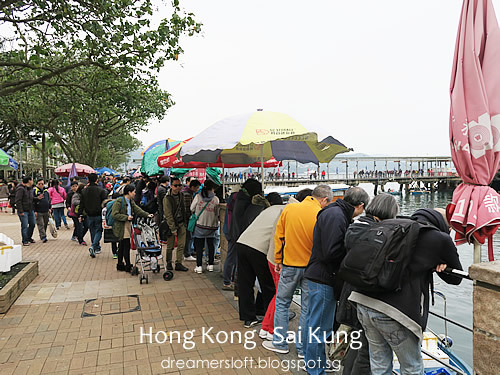 People were peering over the railings, looking at the fishermen peddling their fresh seafood. 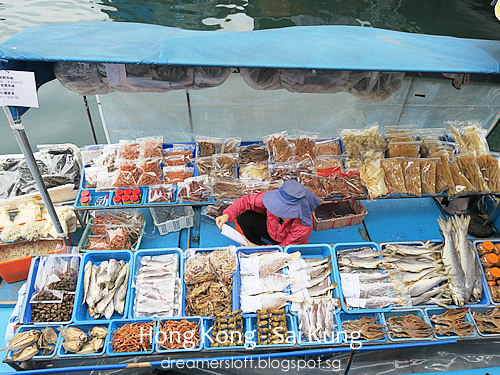 Here's one boat selling mostly dried seafood products, like salted fish, dried octopus, dried oysters etc. Fisherman loading up fresh catch from the sea. 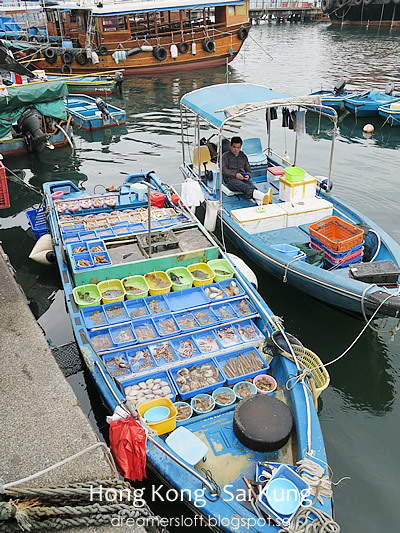 All sorts of fresh seafood, from different species of fish to clams to crustaceans, displayed for customers to take their pick (and bargain). Customers simply shout what they want to the fishermen, bargain for the best price and the seafood will be freshly prepared. 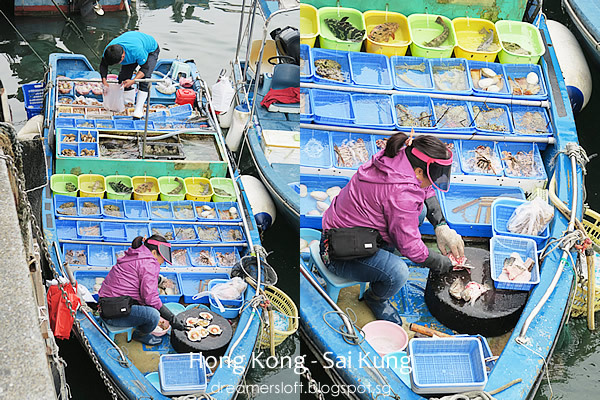 It's amazing how the boat was gently rocking and this lady boss was steadily shucking the scallops and scaling/slicing the fish for customers. 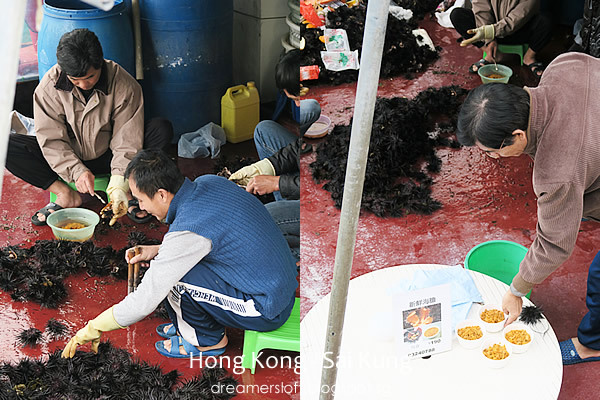 After the seafood is prepared and bagged, the boatman would "pass" the bag to the customer using a fishing scoop net. The customer then placed the money into the net. 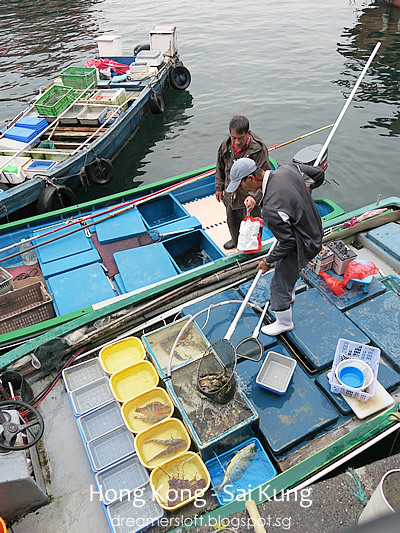 Here's another fishing boat shucking fresh sea urchin. 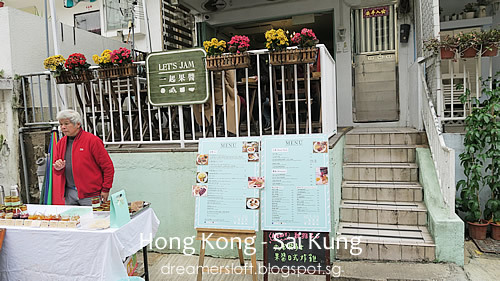 HK$190 for a bowl! 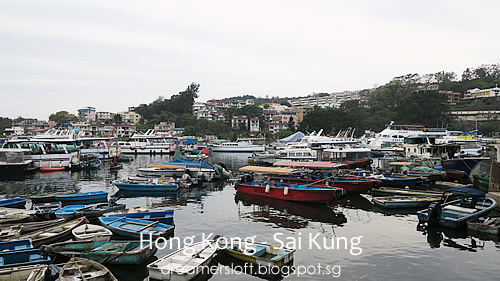 Towards the right of the coastline, we could see several housing estates. The highlight of the trip was seafood for us! 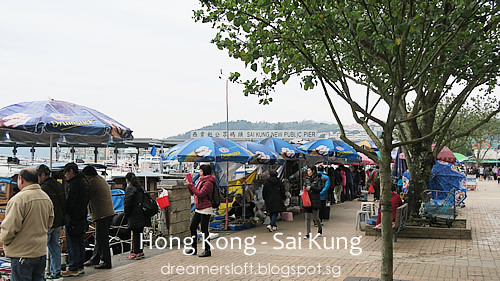 There's a whole stretch of seafood restaurants along this "seafood street". 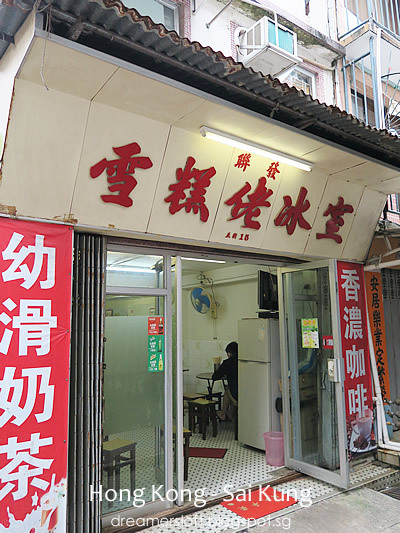 I think Chuen Kee Seafood being the most famous among them. 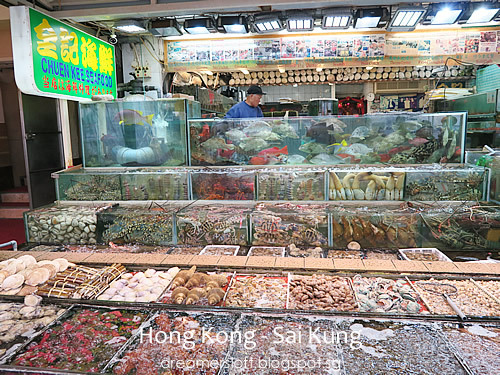 A seafood galore was on display in large glass tanks where customers could see what they would like to order. This sight is certainly an attraction by itself. 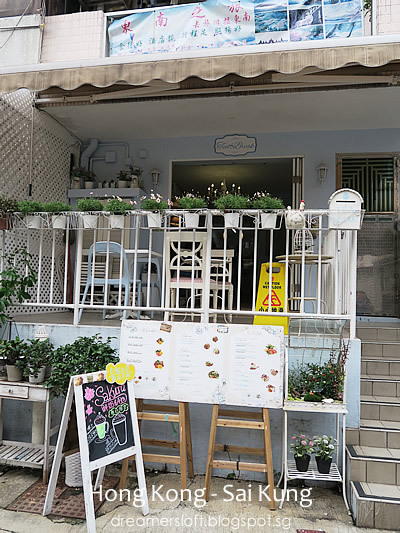 Almost wanted to dine here, but settled for another restaurant, Loaf On which is highly recommended and Michelin-starred. Will blog about that in the next post. 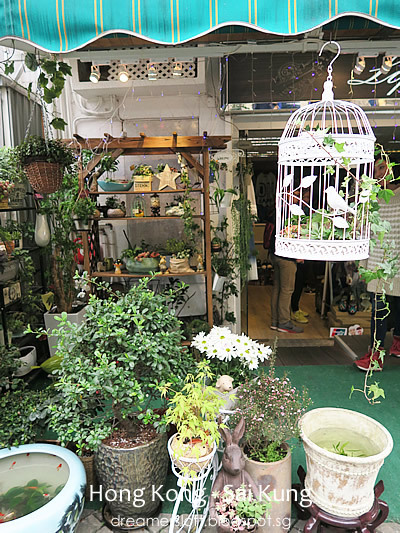 It's quite interesting to explore the streets and alleys with very retro buildings and shops. 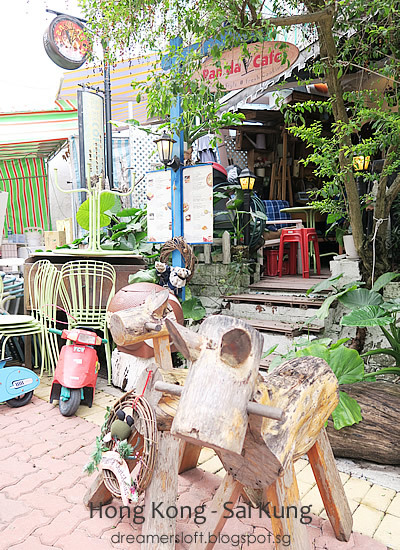 Yet there are also several trendy-looking cafes dotted around the old-school area. Noticed that this seaside town is a popular place for locals to walk their dogs. 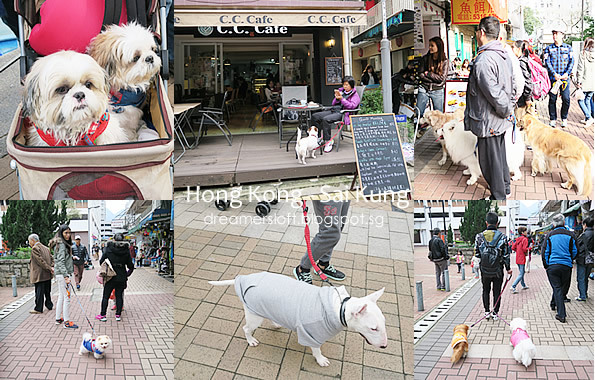 During our half day visit there, we saw countless dogs and puppies that come in different sizes and costumes :) Most of the eateries are pet-friendly probably that's the reason. 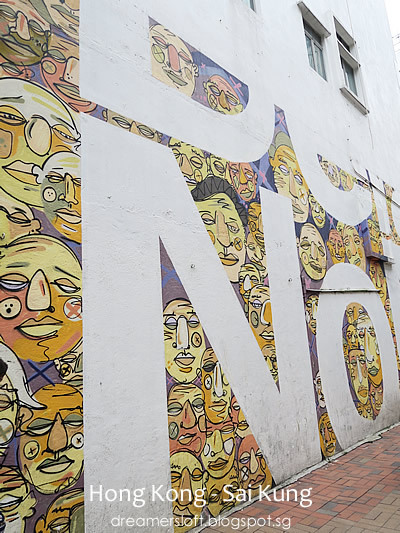 Some street-art as well, like wall murals. 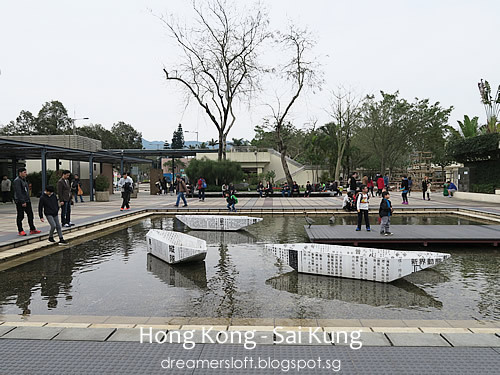 And this cool looking water art installation of 3 "paper" boats and 2 sculpture ducks. 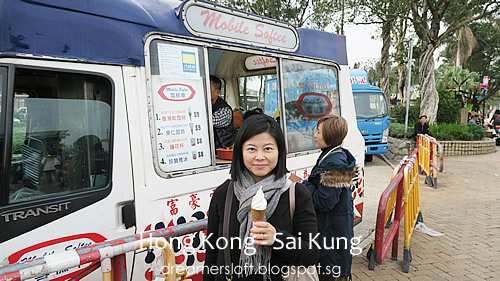 I spotted this ice-cream truck and couldn't resist trying a cone of soft-serve ice-cream. 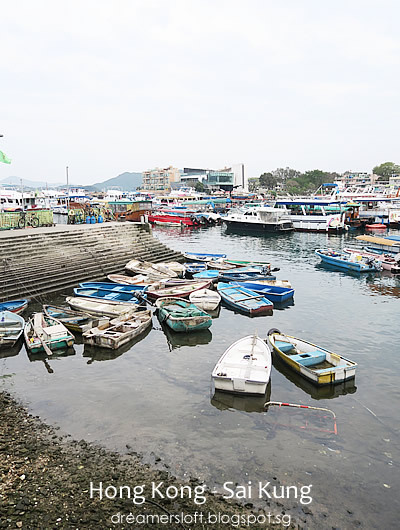 Sai Kung is definitely worth a half day visit, just to soak in the relaxing seaside atmosphere, as well as the food which I'm going to blog about in the next post. Stay tuned!